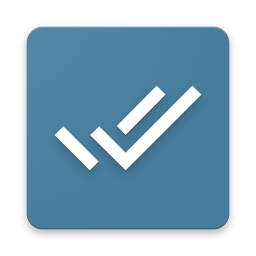 GTD Simple is an android application for GTD (Getting Things Done by David Allen) methodology. After reading Davids Allen book “Getting Things Done the art of stress-free productivity” I started to test tools supporting GTD. Finally I stayed with Evernote with special setup of tags and folders. It works quite well, especially Evernote is very useful for collecting notes, scans etc. However I was not feel comfortable using it as a GTD tool, because I had to do to many steps to select a context or a project for an item. So I started to work on GTD Simple. Taking into consideration my experiences with using Evernote I decided to create GTD application from scratch. I have designed GTD Simple basing on my GTD setup for Evernote, but it is much more easy to use it for GTD methodology. For everyone, who wants to act according to GTD rules and have an android mobile, or tablet. You can use it both for private or professional life. I have created GTD Simple just for GTD, so it is not yet another universal tool for task management but rather as pure implementation of GTD as I was able to do. It is in relatively early stage of “life” and it is still under development, so every user can influence the direction of development of GTD Simple. add to the system every thing that came to you (idea, thing to do, thing to remember etc.). Do it by pressing ‘+’ button, or using a widget. New items will go to Inbox. mark done items with checkbox, regular review Completed and Trash. Are you planning to add any features to backup data? Yes, backup will be available in some next version. However GTD Simple uses Firebase database, which is online remote database. It means, that GTD Simple will store all your data remotely so even if you have your mobile damaged, your data is safe, if you provided your email during installation. Will you add reminders and or notifications to GTD Simple? Yes, they are on my “Next actions” list. Is there an option for capturing images/scanning? So I can store receipts and documents? There is no such option yet. In the future I plan to add such option. What about integration or import from Evernote?